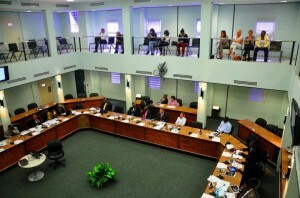 WILLEMSTAD – The meeting of the Central Committee of Parliament on the financial situation of the utility company, Aqualectra, which was scheduled for today, will be postponed until May 12 of this year. This reason for this postponement was not announced. During the debate, Minister of Finance, Dr. Jose Jardim and Aqualectra’s Supervisory Board will be present to discuss the public company’s financial situation. The meeting will be now on Monday, May 12 and it will commence at 9 o’clock in the morning.